Anyone who loves retro style action adventure video games and has an iOS device, such as the iPhone or iPad will think StarDroid iPhone game is simply terrific. StarDroid iPhone game by Krauss and Boll Software is an amazing action, puzzle adventure, and old-school shooter game that is filled with creative maze-like puzzles and incredible adventure. The game has a retro feel to it, which is thrilling in a video game world dominated by games that have extremely detailed graphics. 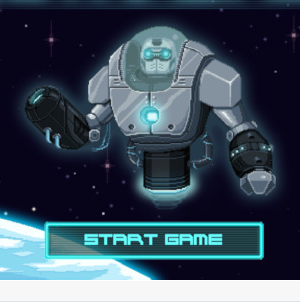 The inspired and beautiful 2-D graphics of StarDroid iPhone game are simple and easy to navigate. For example, the adventure player’s eyes are on the mazes in the floating space ships, the hidden treasures they find, and the adventure of playing the game, not the detailed scenery. StarDroid iPhone game is set in a futuristic space, where the player is a cool little robot, whose true mission is to board unmanned spaceships that are floating around aimlessly, like giant seemingly empty space trash, board them and find the reactor room to destroy them, and finally to save the galaxy’s space traffic problem. 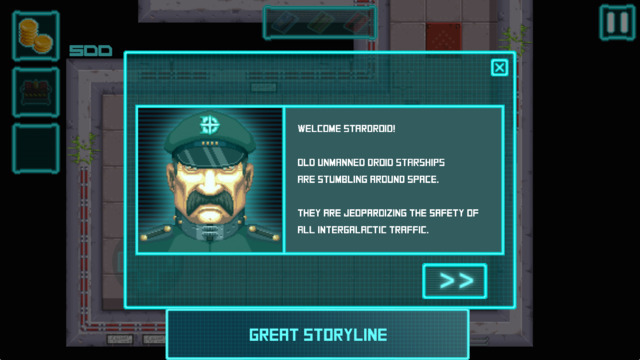 StarDroid offers and adventure that works very well on the iPhone, iPad, and other iTouch devices, so it is versatile. StarDroid iPhone game uses in-game controls that are easy to navigate while the player explores the five different floating space ships, each with eight exciting decks that offer the player about six hours of play, depending on the device and battery charge. 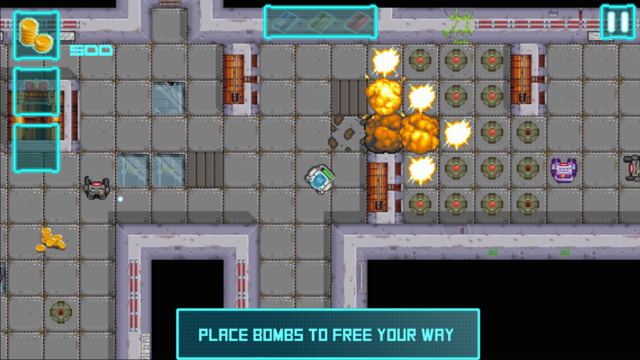 While searching for coins and other treasure, the player needs to discover hidden rooms, treasures, and battle other robots to gain access to the boss at the end of each level and finally the challenge is to find the reactor room at the game and blow it up, destroying the ship and saving the galaxy. There are many opportunities for in-app purchases to let the player acquire extra lives and the option to purchase more coins is available to help the player along. StarDroid is the second app by Krauss and Boll Software. They had amazing success with their first game, Courli’ which was created for the Commodore Amiga in 1990 and then again in 2013 for Apple, Android, and Kindle users. 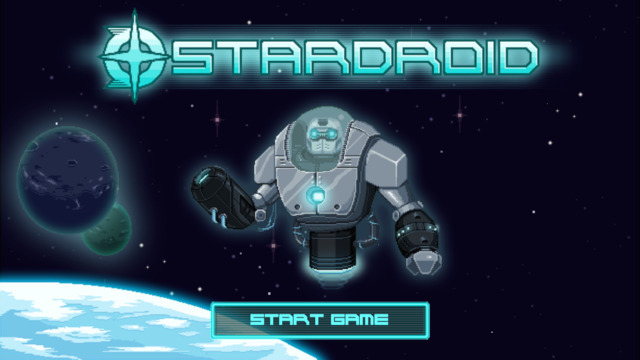 This new game, StarDroid iPhone and iOS video game, promises as much success and hours of adventure-filled entertainment. StarDroid iPhone game is easy to obtain and affordable. At $2.99 USD, StarDroid’s worldwide availability makes it ready for almost anyone with an iPhone or other iOS touch screen device to enjoy this fantastic new game. Krauss and Boll Software are creating a version for other touch screen devices, so everyone can play. Those are coming soon, but no date is promised yet. For now, StarDroid iPhone game is only for the Apple iOS touch screen devices.